The beautiful flower wreath is so gorgeous, isn't it? 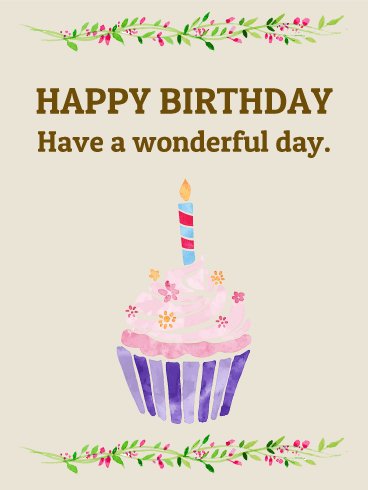 This card is designed to convey warm happy birthday wishes. 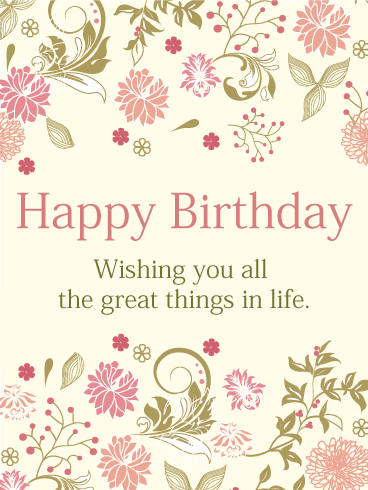 The light pastel colors give a warm and thoughtful tone to your birthday wish. 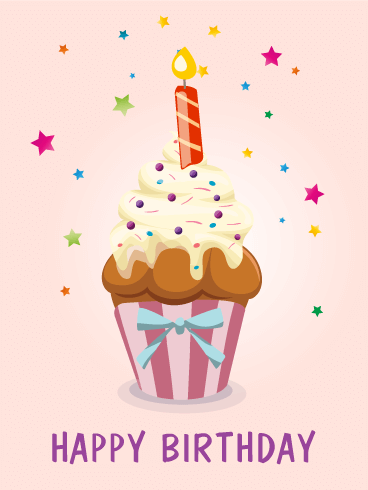 Happy Birthday - Have a wonderful day and fabulous year. Aren't these flowers beautiful? In addition to being beautiful, they created a peaceful feeling. 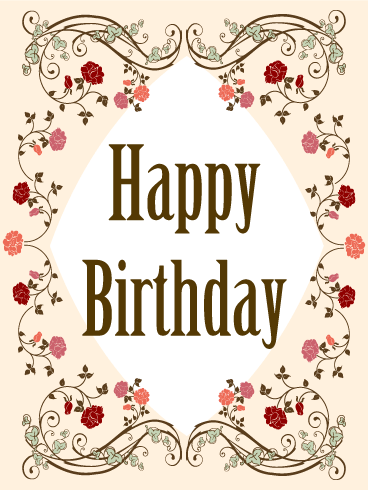 To make the flowers stand out, we use a simple white background and text message on the card. This card is perfect for someone having a birthday who truly loves flowers. A chocolate cupcake with cream frosting and a cherry is everyone's favorite. And, everyone loves receiving a birthday card. 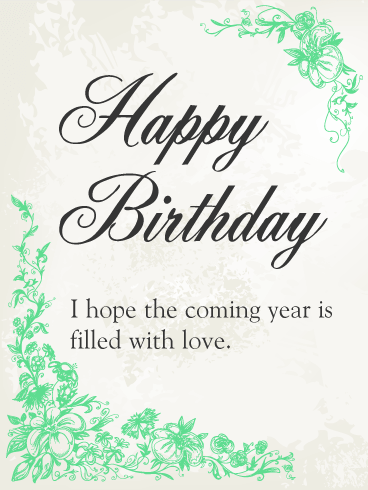 This card is the best combination to celebrate a birthday to make it even more special and happy. A birthday is a time to reflect, and a time to celebrate. It's a chance to take a moment and express your appreciation of someone who means a lot to you. 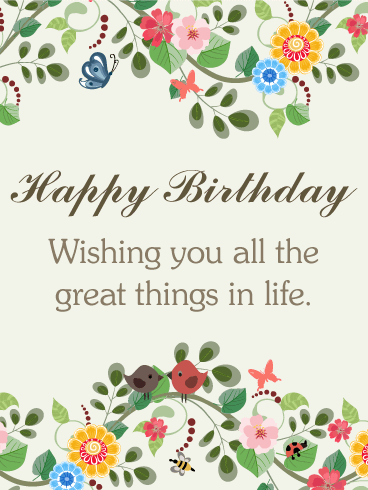 What a beautiful sentiment, and what a lovely birthday card, to wish that special someone a happy birthday! Happy Birthday! A fabulous birthday needs a fabulous birthday cake. 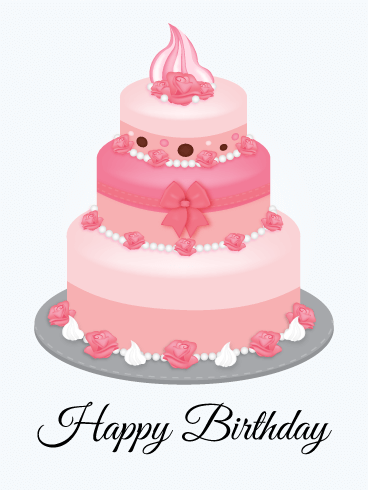 This card shows a gorgeous pink birthday cake. 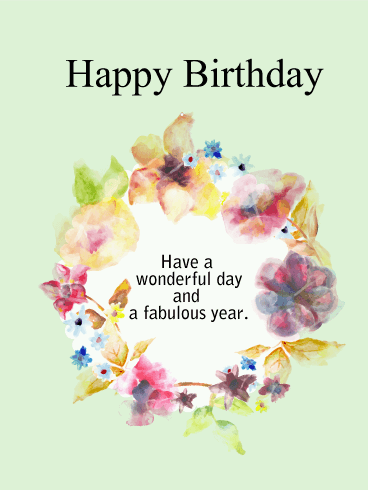 If you know someone who is fabulous, we recommend selecting this card! 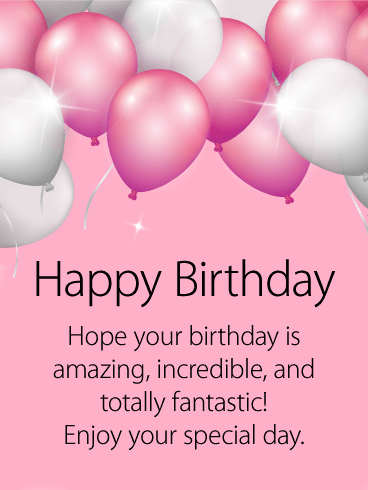 What could be better than a pink birthday cupcake card? 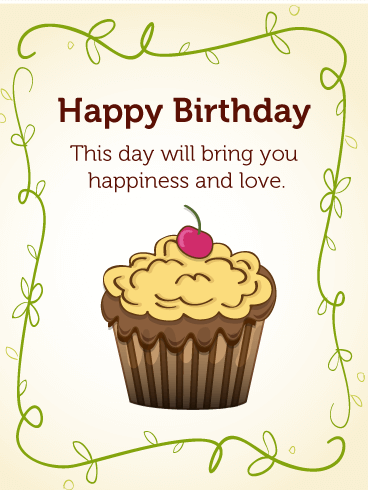 This card is recommended to send to your special and cheerful birthday friend. The stars make this card very cute. It has the power to make the birthday person happy. 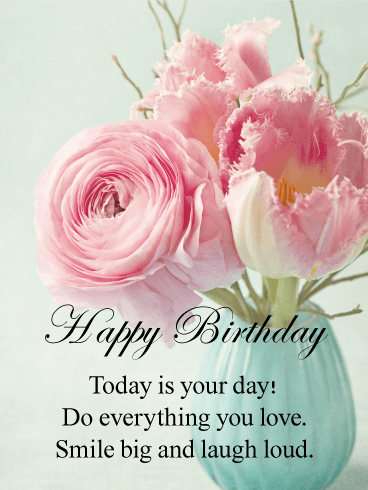 Are you looking for a pretty, as well as elegant, birthday card? This card is perfect for that. Everyone loves a cupcake with a candle; in addition to that we have added a flower decoration. 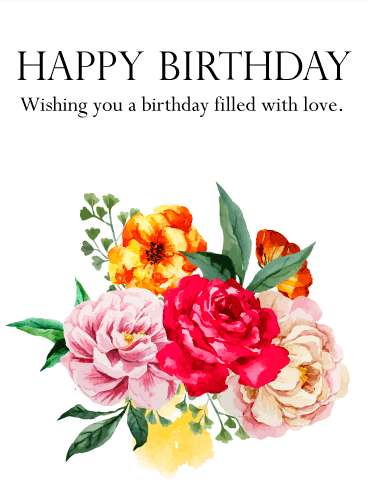 If the birthday boy or girl is one of those who appreciates the finer things, elegant and tasteful designs, then they are sure to adore this elegant flower frame birthday card to convey your best wishes on their special day. 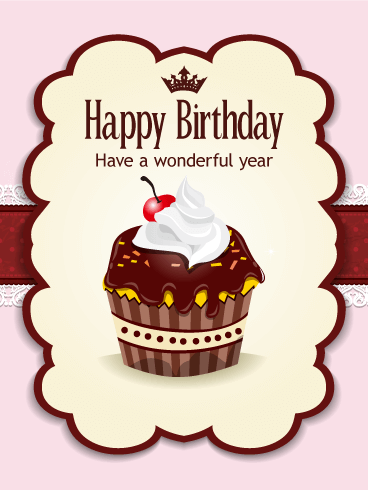 There are many elements that ladies love in this card; cupcakes with whipped cream and a cherry, lace, and a crown. And it's pink! Do you already have someone in mind for this card? This card has elegance and gentility. Imagine a birthday person who has elegance and gentility. For that person, this card will be perfect! The placid color helps to make people feel peaceful. Choose this card to send much love.